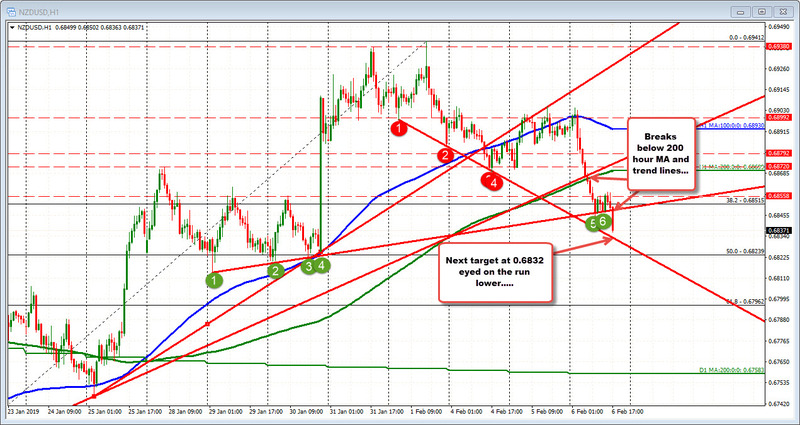 The NZDUSD is running to yet another new low. The journey to the downside started after a move above the 100 hour MA failed in the Asiian session. The run continued below the 200 hour MA (green line) and trend line, and then another trend line at 0.6848 (risk now for shorts). Sellers in the NZDUSD have been helped by a similar tumble in the AUDUSD on the back RBA Lowe saying policy was more neutral.